Our new and used dealership near Mayfield, KY is ready to assist you with all of your vehicle needs. You can easily find new cars for sale online through our website or used cars for sale on our lot. We put all of our pre-owned models through a rigorous inspection process before selling them. What does this mean for you? Quality. 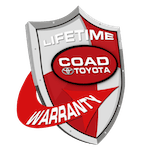 Drivers who do business with Coad Toyota Paducah have zero complaints because they know we treat our cars right! Whether you're in the business of a snazzy new Toyota sedan or an oil change service, we will be there for you. Contact our team today. It's only 31-minute drive so let's get started! Begin by heading south and turn right onto North 7th Street. Stay on for 23-miles and then make a left toward Saint Louis. From there, merge onto I-24 West toward Saint Louis. In 1.9 miles take Exit 4 onto the I-24 Bus Loop, US-60 toward Paducah. Turn right onto Hikleville Road toward Paducah, National Quilt Museum. In 600 feet, turn left onto Coleman Road and then make another left onto Mike Smith Drive. After all that, our dealership will be on your right. Feel free to contact us for directions. Our finance department near Mayfield, KY will contact you as soon as we have access to the status of your car finance application. You can easily schedule service online, which makes the entire process entirely convenient. Our new and used dealership's service department is always happy to help you process your ToyotaCare requests. After all, what's the point of buying a car with a free maintenance plan if you cannot use it? We urge you to check out our service and parts specials near Mayfield, Kentucky. Whether you're looking to enjoy brake pad replacements or a need a genuine part installed, our service team will be there for you. Schedule auto service online now and we'll assist you as soon as possible!